ALASKA LIVING! LOG HOME + SHOP! 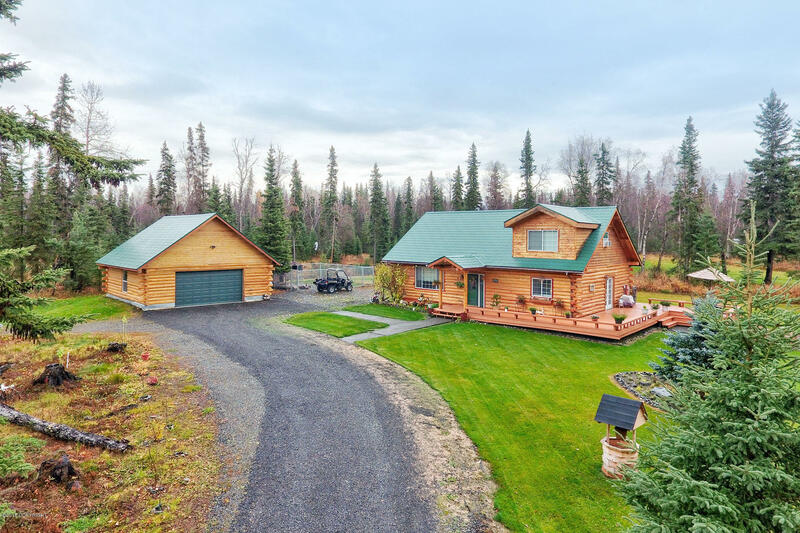 Country setting close to Soldotna,1970 sf +2 BONUS storage rooms, 3 beds, 2 baths & office. Open living design w/vaulted ceilings, walk-in-pantry & laundry room. Shed, 30x30 dog run & covered/elevated dog kennel area. 841 SF, 3 car heated SHOP! 700 sf wrap around deck & fire pit.